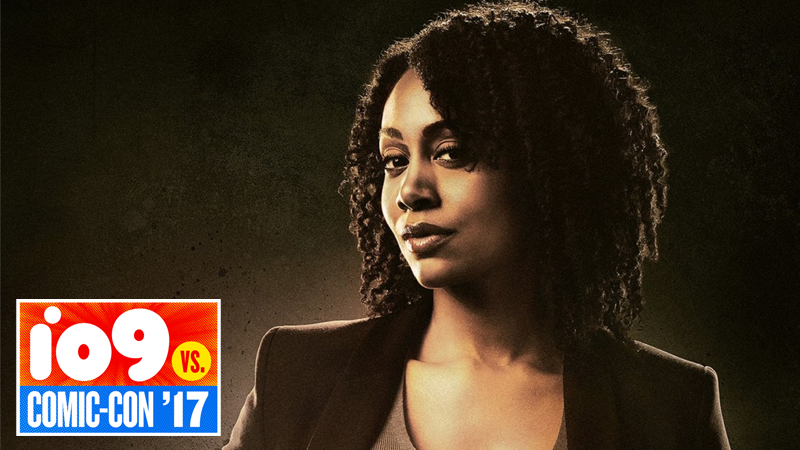 The next season of Netflix’s Iron Fist show just a hell of a lot more interesting—because Marvel just confirmed that the cast is getting an upgrade in the form of one of the best parts of another Netflix show: Luke Cage’s Misty Knight. Confirmed at the Defenders panel currently running at San Diego Comic-Con, we knew a second season of Iron Fist was inevitable, but Misty’s addition to the cast is a welcome surprise. In the comics, Misty has a history with Danny, and for a considerable while, was in a romantic relationship with him. That’s probably not going to be the case for now in the show, given Danny’s burgeoning relationship with Colleen Wing—so it’s likely that Misty is probably going to serve as a bridge between the worlds of Iron Fist and Luke Cage after the two partners-in-punching-people first meet during the events of the Defenders. But Misty’s arrival in Iron Fist does mean one cool thing: my dream of Colleen Wing and Misty Knight teaming up on the small screen to recreate their comic book asskicking/investigative duo better known as the Daughters of the Dragon is getting one sweet step closer to reality. We’ll bring you more on all the news from the Defenders Comic-Con panel as it happens.